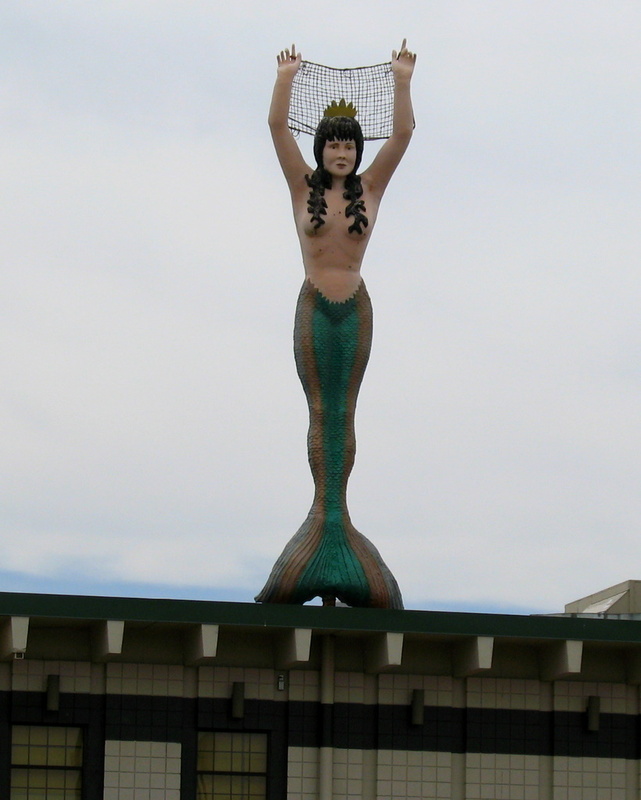 For as long as I can remember, this very large mermaid has yet to put her arms down. It sits atop a restaurant on Highway 10 in Mounds View. The name of the restaurant shouldn't be of surprise, it is called 'The Mermaid'. Since I've started this photo blog, there are a few things around the Twin Cities that I've had on my list to photograph someday, this was one of them. I haven't been there in years. I used to work a few miles up 35W from the Mermaid. I wonder how many pounds of their Battleship burgers I consumed.